It’s said the good die young. Salvador Borrego was 102 years old when he died Monday. Interviewed in 2011, Borrego was especially proud of being the first Holocaust denier… and being the author of the best selling Holocaust denialist/Nazi apology revisionist history of all time: Derrota Mundial. First published in 1953, 11 editions and 48 printings later, Borrego’s claim is that Nazi Germany was defeated not by the Allies,but by a “judeo-masonic conspiracy”. In his second edition (with a forward by the disgraced José Vasconcellos) in 1954 he first advanced the theory that Jews inflated the number of Nazi victims in order to receive a massive indemnity based on the number of victims. 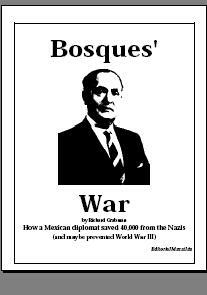 While also wrote a glowing biography of Hitler (Pintor, Soldado, Fuehrer), and an apologia for the Waffen SS, Borrego’s favorite enemy was the United States. His one book in English (Puzzling Neighbors) blames Mexican Masons, in cahoots with US Masons for all ails Mexico. Jews, masons, capitalists, marxists … to Borrego, they were all part of the same conspiracy, the same forces that kept Mexico from being great again. Borrego was not alone when he began his career in the late 1930s. 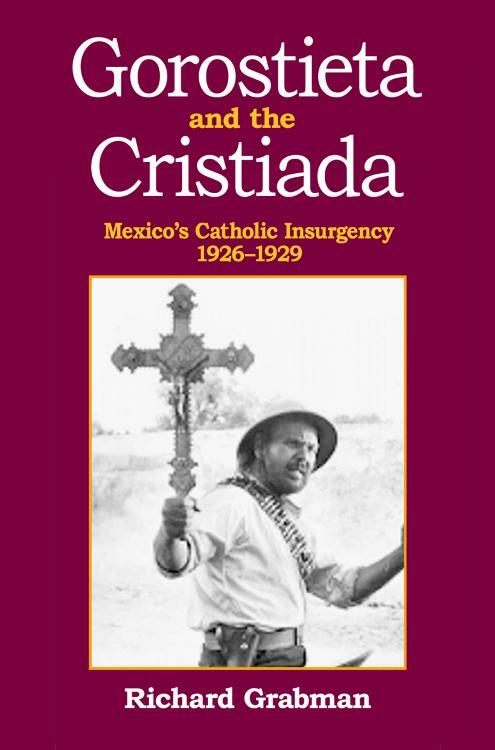 The failed Cristero Rebellion, led by traditionalist Catholics, had left embittered Cristeros who were unwilling to lay down their arms into joining forces with the openly pro-Nazi “Gold Shirts” in joining Saturnino Cedillo’s doomed attempt at one last shot of overthrowing the Revolutionary State by armed uprising in 1938. Unable to win militarily, the Fascists turned to politics and the media. In politics, the hard-core joined the new Synarchist movement, or the Catholic PAN party (which did, eventually, become a bigger tent conservative and Capitalist party, presently the second largest in the Republic). In the media, young fascists like Borrego found a home in the pages of the rabidly anti-American Excelsior. However, between the Cardenas Administration’s anti-fascism and Cardenas and his more conservative successor, Manuel Avillo Camacho both looking for better relations with the United States, Fascists and Fascist-friendly media were pressured (especially after Mexico entered the “War Against Nazi-fascism” in May 1942) to force out columnists like Borrego. While he still had something of a career, working for over 35 publications as an editor or reporter, mostly for the El Sol chain (he would later write a biography of the chain’s founder, José García Valseca), Borrega would never be the type of journalist who is invited to Los Pinos, or appears on television talk shows. His 40 or so books, self-published or under the imprint of the Catholic publisher, Editorial Jus, on Fascism, anti-masonry, anti-liberation theology, and… in his later years, anti-feminism, anti-lgbt rights… occupied the rest of his life, with occasional appearances to rightist groups (including, much to the embarrassment of its national leadership, at a PAN youth conference organized by neo-Nazis). For most Mexicans, it was a surprise in recent years to learn he was still alive. Unfortunately he was. Neo-nazis of the usual variety found in Latin America were the intended readers of Borrego’s badly printed, cheap ouvre. They may be a danger to some of us on the streets, but the real danger to all of us comes from those who tolerated Borrego, even if they claimed to have found his traditionalist Catholicism and ultra-nationalism extreme, still have influence in public life. Never say anything bad about the dead. He’s dead. Good. HELL NO, I’m not going to provide links to Borrego’s works! My third novel, the Queen of the Pánuco, deals with this topic. Tampico in 1938, in a Mexcio abuzz with Nazis and Falangists. A fascinating period. Saludos!